While we here in New Braunfels clearly love the nearly year-round warmth we get, the winter months are a welcome break from the heat for some. The hint of frost on your lawn in the morning lends it an otherworldly look. Even the occasional ice storm in the depths of winter have their own kind of charm. The crisp, clean air chills your nostrils as you breathe on your morning walks. But while we might associate winter with clean air, that isn’t always the case. In fact, the quality of the air you breathe during the winter is often worse than what you breathe in other months. As your go-to air quality testing service in New Braunfels, Legacy AC and Heating will explain why. When the temperatures start to dip, you might start noticing little clouds of fog erupting from behind idling cars near you. This is because you can now see the pollution that each car is producing. During colder months, people use more energy to stay warm. That includes letting their cars warm up in the driveway before driving to work and turning up the thermostat in their homes and businesses. This means that people are simply using more fossil fuels during the winter months than in the other three months. More pollution is released into the air, and that includes the air inside your home as well. There are few things more satisfying than waking up on a day off in the middle of winter and just staying in bed for a little while longer than you usually do. Many of us love the opportunity to stay inside a little bit more during the winter months, but it can have an adverse effect on your indoor air quality. We cook more inside, take longer, warmer showers, do more projects inside, and even track things inside the house when we do go out. All of this can bring pollutants, allergens, and more into your home, lowering the air quality. This is especially true if your home is not adequately ventilated, or insulated. We all know that warm air rises, and this is especially true during the winter. The process of temperature inversion during the winter keeps cold air trapped near the ground, and allows the warm air to sit on top of it, keeping it the cold air in place. Not only is the cold air kept near the ground and around our homes, so are the pollutants and allergens that are being released into the air. While you might not notice any immediate differences in air quality during the winter months, it can have an impact on your health. After just one exposure to poor air quality, you could suffer from headaches, nausea, dizziness, fatigue, and irritations in your eyes, nose, and throat. For those with respiratory issues like asthma, you might feel your symptoms flare up or are aggravated. 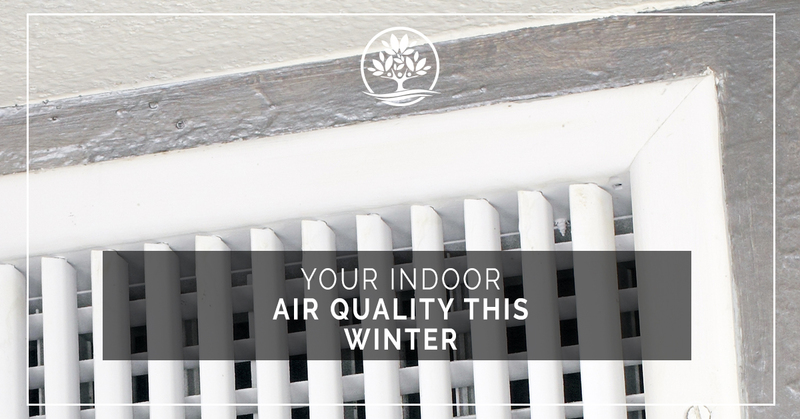 How Do You Improve Your Indoor Air Quality In The Winter? Fortunately, it’s fairly easy to improve your indoor air quality. It’s best to clean your home regularly using chemical free cleaners. You can work with your local HVAC service to get your furnace inspected to ensure that it’s working properly and isn’t pumping pollutants into your home. 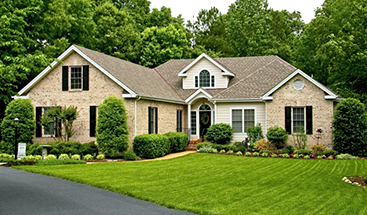 Replacing the furnace filters will help to filter out any contaminants that try to make their way into your home. You can also schedule an indoor air quality test from the specialists at Legacy AC and Heating. During our air quality test, we’ll look for problem areas and concerns like mildew, mold, and germs that can fester in your home. Using technology like EPA ultraviolet lights, medical grade air purifiers, HEPA media filters, and ERV fresh air systems, we can ensure that your home is filled with fresh, clean air all year-round. You’ll breathe easier in your own home, ensuring that you stay healthy throughout the winter months. If needed, we can also help you with replacing your air ducts. Give us a call today to schedule your indoor air quality test.